Whether a property owner needs to replace glass in vinyl window frames due to a foul baseball hit from the neighbor’s yard or an attempted burglary, he needs to trust that the job will be done quickly and correctly the first time. After all, the security of his family, employees and property depends on this vinyl window glass replacement if it is broken and offers a point of entry to the building. The experienced employees at All Service Glass, LLC are expertly trained and skilled in reinstalling glass windows for all types of properties both personal and commercial. A simple crack in a small window in a house can turn into a larger one if not fixed promptly. After a break in, a home or commercial property owner will want to replace glass in vinyl window frames to ensure that another robbery doesn’t occur. These are the most common points of entrance for thieves and having intact and secure windows is a great deterrent. All Service Glass, LLC can handle everything from vinyl window glass replacement for a pane in a small window to large plate glass walls, picture windows and even glass doors. 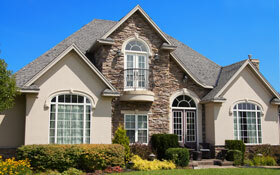 With the 24/7 service options, property owners can always have peace of mind.